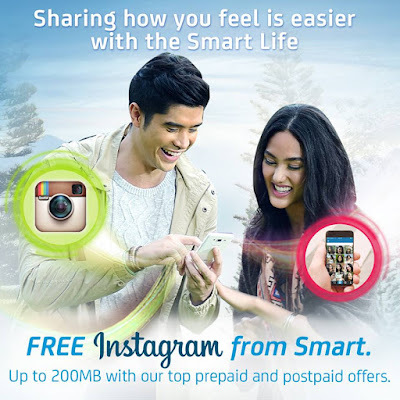 Smart Communications has announced that they will give FREE Instagram access to its Postpaid and Prepaid customers. Smart users can post photos and videos on their Instagram account as well feed browsing on their Instagram account. They can get up to 200 MB with Smart's top postpaid and prepaid offers. Prepaid users can get this promo by availing select Smart prepaid plans like Unli Call & Text 30, All Text 20, All in 99 and Mega 250. Postpaid users can subscribe to any of Smart’s Surf Plus Plans. For more information on FREE Instagram from Smart, visit wwwsmart.com.ph/freeinstagram.